Ever since Instagram changed things up and brought in their algorithm, it has been one of the hardest platforms to grow your following, it’s been made even worse recently by people playing the follow – un follow game or buying their followers. So to keep on top of the instagram game and catch out people who have just followed me to unfollow i use the “Followers” app; its got a few features but i mainly use it to see who has unfollowed me overnight and its handy to have the graph at the bottom, which shows you a general trend of how your follower numbers are looking. I know a lot of apps like this can give people problems but i’ve been using this one for a while now and i haven’t add any issues, they don’t do anything on your behalf so you’re safe. 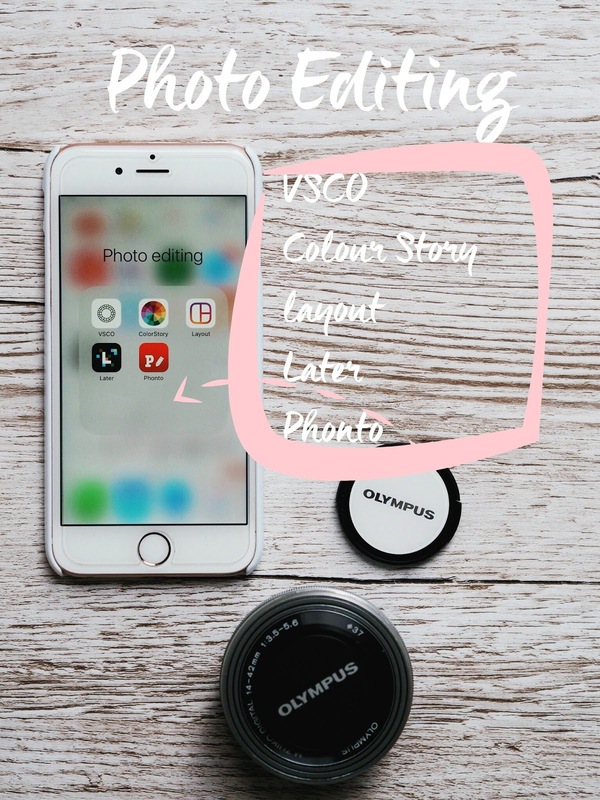 1) VSCO: I’m pretty sure everyone knows about VSCO, its one of the best free photo editing apps around, it comes with filters and a host of editing tools. I use VSCO for filtering photos i’ve taken outside, for example my photos from Paris or most of my outfit posts. I find the filters are a little over edited for photos i’ve taken inside, so i like to use them when the lighting is 100% natural to avoid adjusting things too much. 2) Colour story: I use colour story to edit my product photos or photos i’ve taken inside, such as beauty blog posts with photos of a product or flatlays. I mainly use the “pop” filter to give my photos that bright edge and i also use some of the editing tools to brighten duller photos or get rid of shadows – colour story has some really great editing tools that you don’t usually find on free apps. 3) Layout: Layout is an app i believe Instagram brought out and it basically just allows you to organise multiple images into collages, side by side or three photos one on top of the other things like that. It’s not something i use that often but it’s a useful one to have! 4) Later: Later is an instagram scheduling app but i don’t actually use it to schedule posts. I use Later to see how a photo i’m planning to upload is going to look in my instagram feed ..i know, i’ve got feed issues. Theres nothing worse than uploading an Instagram post to see that its so much darker than the rest of your photos or just doesn’t look right; so to avoid double uploading the same image i use Later to do a preview of how the image will look once in my feed. 5) Phonto: Phonto is such a handy app because it allows you to add text to a photo quickly, i download fonts from dafont straight to the app so it means i’m not just restricted to the fonts the app provides. Although now i like to add text to photos using picmonkey on my laptop, when i need to be able to do it on my phone i use phonto. 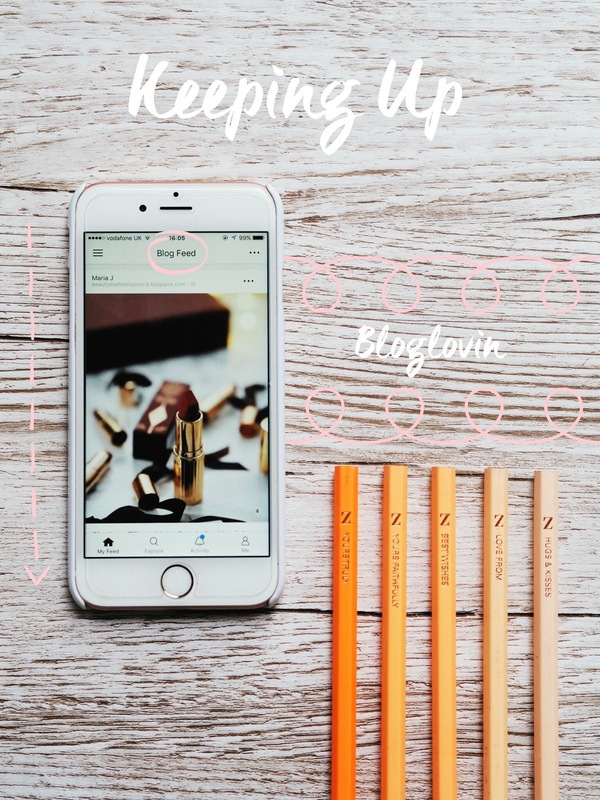 Bloglovin is something i feel like every blogger has but uses in different ways, a lot of people use it as a promotional tool to direct traffic to their blog but i use it to keep up with my favourite bloggers. I have to admit I’m not the best when it comes to bloglovin; i should focus on growing my following on there a little more but i’m sceptical as to how much traffic it’ll actually bring in, so i tend to use it as a reader rather than anything else. The bloglovin app is really useful because you can follow cross platform bloggers, i think it supports pretty much every hosted site so it keeps bloggers from wordpress, blogspot and others all together in one place – all in a timeline of posts. I find myself opening bloglovin while I’m on the tube or a bus journey because i know i can open it up and be directed to content that i’m genuinely interested in. Promoting your posts is one of the most important things to do when trying to grow your blog, but its often hard to remember to tweet out a link every hour or so. So i don’t have to think twice about tweeting and don’t get a drop in traffic when I’m not online, i use the buffer app to schedule tweets in advance so everything happens automatically. 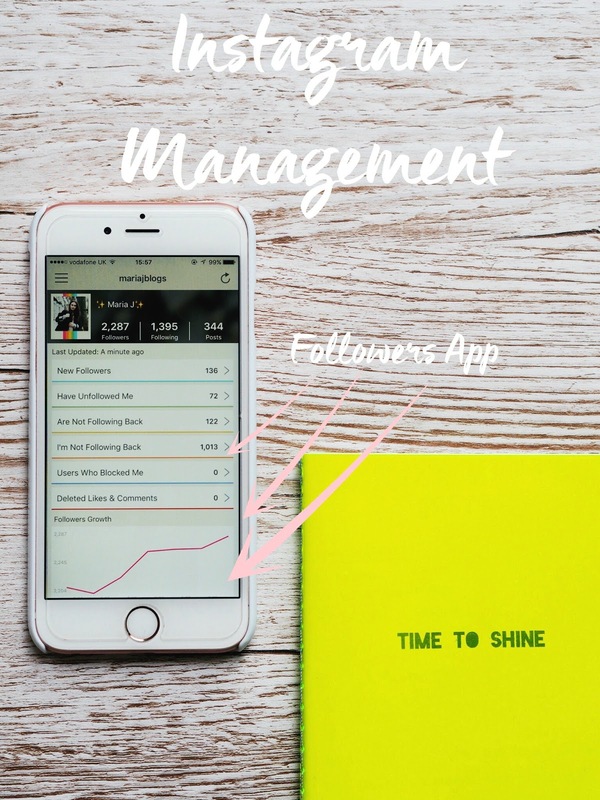 This would be my #1 essential app when it comes to blogging, when i first discovered buffer and started promoting my tweets my traffic shot higher than it ever had before and without it i guarantee i wouldn’t see anywhere near as much traffic to my blog. The buffer app works through writing out tweets that you want to be posted for you and then setting them to a time schedule. Once you’ve written out a tweet you don’t have to keep re-wrting it out every time you want to post it again, you simply hit “rebuffer”. Every evening i go to the analytics tab of the app and hit rebuffer on the tweets i want to set for the next day, they will then automatically post in the order and time frame that i’ve perviously set. You can also keep track of how well your promotional tweets are doing in the analytics tab, every tweet will have the number of link clicks a tweet got, how many retweets or likes and the potential number of people the tweet would have reached. The analytic data takes a few hours to come in, so don’t feel disheartened if you’ve set a tweet that appears to have no link clicks – check back in a few hours and the number will have changed if you did get some clicks. I know not everyone makes money from blogging but if you do its important to keep track of absolutely everything for tax reasons; it can seem like the most daunting thing but its not too bad if you keep a record. I use the microsoft excel app on my phone and iPad to keep all of my money things together on hand if i need it. I’m pretty new to this area of blogging but i’ve been doing one spreadsheet a month with my income, expenses and totals after deductions, which i think works pretty well to keep things organised. Finally we have social media, no blogger’s phone is complete without instagram, twitter, snapchat and Facebook. They’re all pretty self explanatory but i know some bloggers actually don’t utilise every main form of social media but these are the ones i keep on my phone and see as key to having a blog. Every time i upload a post i put it in my snapchat and instagram stories, i tweet a link and post an instagram picture with a link in my instagram bio. From then i’ll keep the traffic flowing through tweets scheduled using the buffer app i talked about above. I am so thankful for this post! I wasn't even aware of the follow app and now I can find out those pesky follow and unfollowers. I'm glad I have all of those. I don't use Later but Planoly isn't that bad either. This is most accurate blogpost for all beginner bloggers and trust me, blogging is not easy and therefore, hardwork need put into place. Good job, Maria! Love this!!! 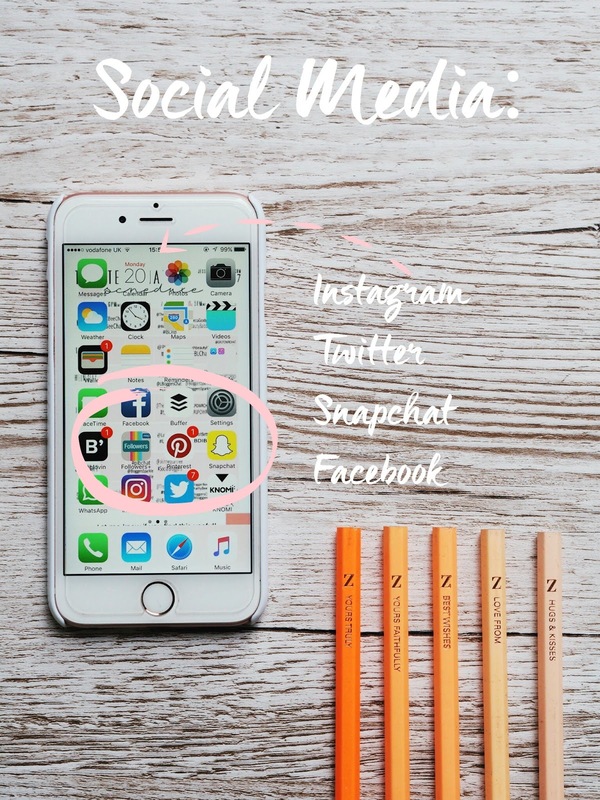 What kinds of posts do you plan and schedule for you social media? Do you have a system/template etc? Trying to get into the role of bringing social media into my life more to promote my blog etc! Love love love the photo editing in this post Maria! I started using buffer just before Christmas and I find it's the best way to get content out! I find it so useful! Really helpful post (especially because I'm only just starting out) I've found Bloglovin super helpful for reading and finding blogs. I'm a really big Pinner aswell! Brilliant post, going to download some of these apps. Thanks so much for sharing! 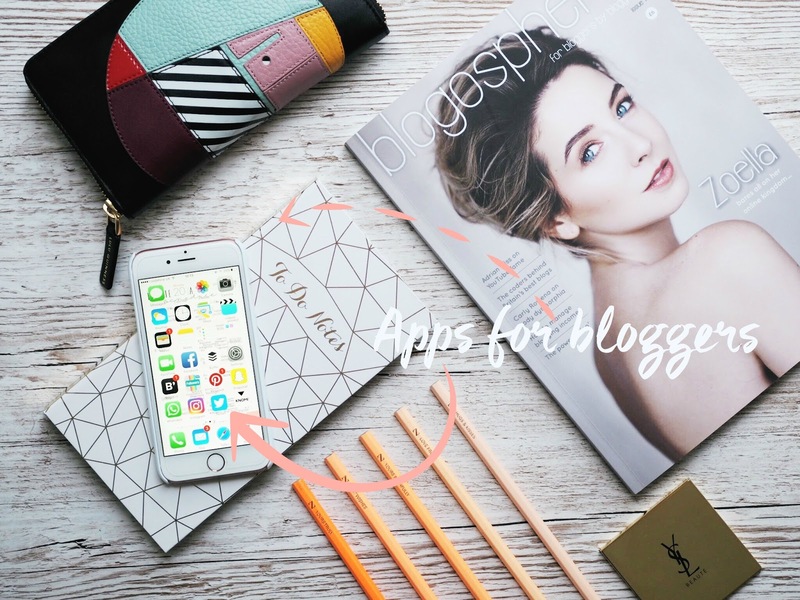 I have yet to use the Bloglovin app – I really should have it on my phone. I use the standard social media apps, mostly Pinterest, as well as Follower tracker app (I can't remember what it's called). As for photo editing, I use Aviary for any on the go edits. Mostly, I just do work on my computer. I'm kind of blind, so I prefer things on a bigger screen lol. I've only recently started to take a more serious approach to the social media I have related to my blog, Buffer has helped to increase my blog engagement so much…plus I've been able to go through and unfollow all of the Instagram accounts that I've followed that don't follow me back using Followers Pro. Buffer changed my life. I was really bad with Twitter as I can't tweet while at work, so my following was pretty low. Once I started using Buffer I could see a big change. I'm on Android (have more of a hate relationship with Apple), so not all the apps for photos are available, but I love VSCO and also use Snapseed. VSCO has totally changed my Instagram feed for the better. Some of these other apps I've never heard of so I think I will definitely give them a go! Love this post, Followers sounds like a pretty useful app and one that I love and use absolutely all the time for Instagram is called Unum. It let's you plan your feed in advance and edit within the app and I find it so so handy! Apart from social media the only app I use from this list is buffer. I really love it as it saves so much time! I don't bother editing my photos as i'm too lazy and I prefer the natural look anyway (or at least that's my excuse!). I love this post! 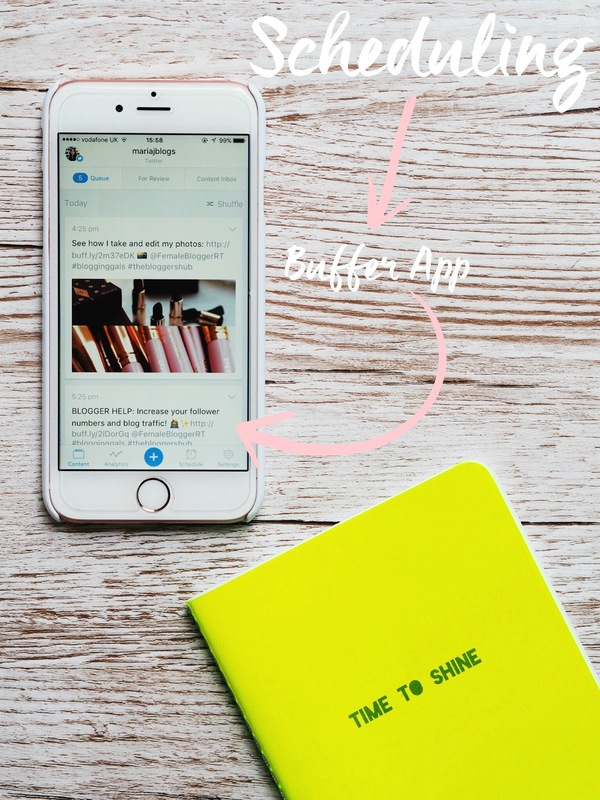 Buffer has become my new favourite thing, you're the one who inspired me to start tweeting out old blog post links as I always see yours on my news feed (aka why I'm here!) and I just completely never thought about doing that! It's crazy that you mentioned buffer. I've stumbled upon buffer a couple of times but it's only today I decided to give it a try. I'm hoping to make the most of this app. Will definitely come in handy when I forget or when I'm busy and unable to teeet. Really helpful post- especially the photo editing apps! Hasn't there been lots of issues and comment on Bloglovin recently? Has this changes your view? I'm wondering whether to use it to grow my blog. Such a helpful post! I need to get my hands on accounts and Sadly I quit snap chat! It was so hard to maintain all these social media! I'm using Bloglovin as well but yet to understand how it really works. I've never tried the follower app! That'll be so handy to keep track of my instagram account, going to download it right now! Its so so useful, especially in the climate of following and unfollowing we're currently going through, its good to catch the pesky unfollowers! Really wonderful post Maria, some excellent app recommendations. I can't wait to try the Phonto app and I didn't realise Buffer had an app, I'm always just using it on the desktop! Thank you for sharing. Really loving your "Blogging Help" section. The way you break it down & explain everything is SO incredibly helpful so someone like me– you have no idea! Thanks a lot! Fab post! I use most of these apart from the follower app, so thanks for the tip lovely! Thank you for all the tips 😊 I will have to give some of them a try. Great tips. I always love posts where bloggers share what they use to keep their blogging going. Thank you! I have been using the followers app for awhile now and had nothing but success with it! Thanks for sharing! 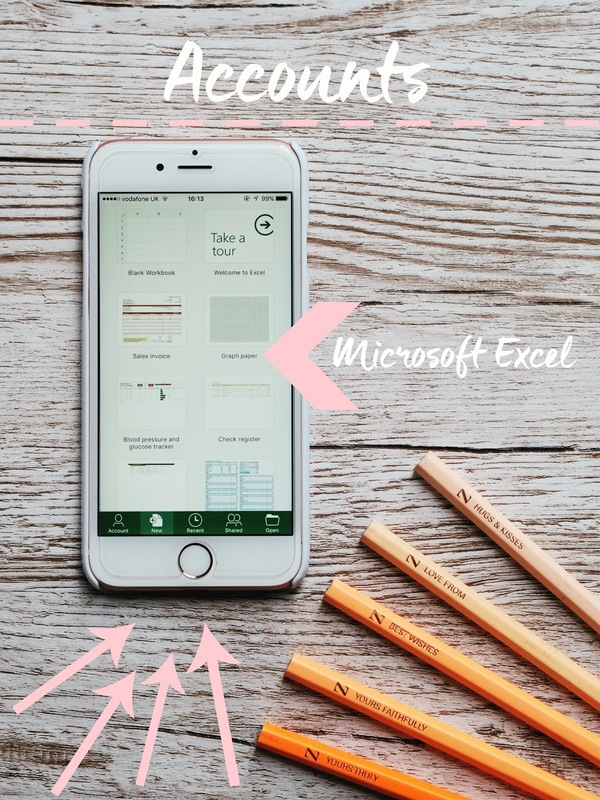 Great apps, I hardly use excel on my phone but I'm seeing it's definitely something I should use for my productivity. Thanks for the tips. I actually prefer using Buffer on my laptop, just because it has this "top tweet" sign haha. But I agree, this app is a life saver since I don't always bring my laptop everywhere! Currently downloaded Color Story and Buffer! This was a fantastic post!!! I am always looking for things to make balancing work and blogging easier. This is great !! Thank you for this . This was such a helpful post. I used Buffer years ago when I first started blogging and it's amazing! Without it.. I don't even know if I would get views. VSCO is another must have but I'm struggling to master the filters on my selfies..Even if I try tutorials from Pinterest it doesn't seem to work for me, maybe I'm too pale for HB1/HB2 filters 😀 But again, great post! All of these apps look super helpful, I've been using buffer for a few weeks now and i love it!! I had never heard of the Followers app until now! Thanks for the tip, was wondering how people managed to keep track of their followers 😉 Will definitely start using that right now! I am very much just starting and it is so amazing to find such a helpful post with simple steps. I adore your blog!